always knows what's on your heart? Lori, Can't go wrong following your heart! And, what a double blessing your brush can follow along! I believe your Yellow House dream will materialize one day! :) What a precious piece. Looks quite inviting too! Hope your Friday Eve is wonderful and your weekend, splendid! 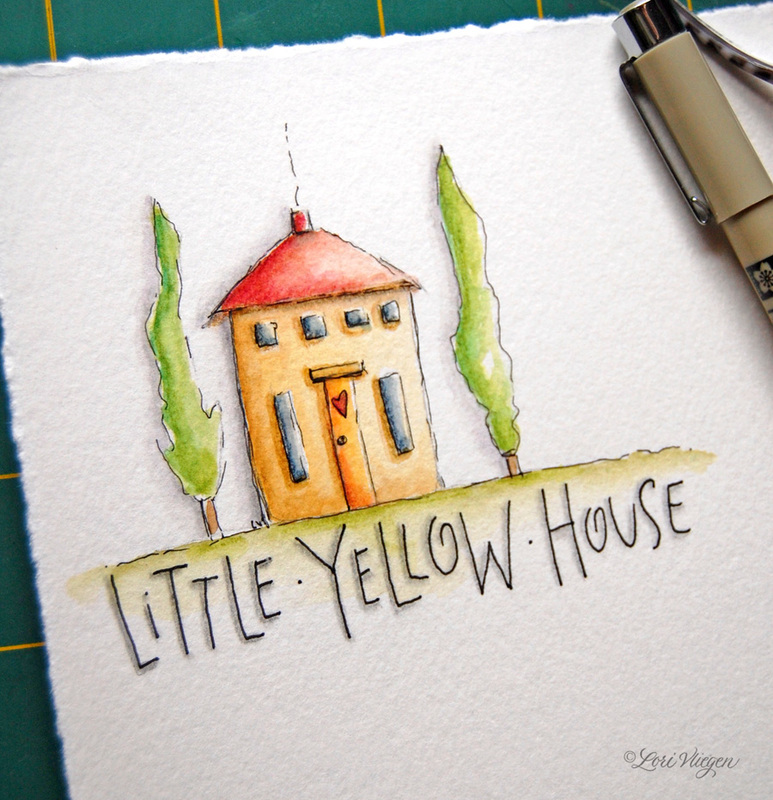 What cutest little yellow house! En cualquier lugar donde esté,en Francia o en la Toscana, esta casita amarilla es preciosa!. Besos.